2019 marks one of the biggest years for Asian cinema. From romantic flicks that will make you feel butterflies in your stomach, to action movies which will have you at the edge of your seat, this year’s most anticipated Asian movies will give you nothing but the best. After 2018 gave the world some of the greatest Asian films, it’s time to highlight various sensational films that are opening within the next months. Are your movie calendars with you already? If not, grab them now because you need it to save the dates of the most anticipated Asian films that are coming out this year. Makoto Shinkai has prepared another masterpiece for his fans after his 2016 blockbuster hit, Your Name. Just like Shinkai’s other films, Weathering with You will be a delightful mix of romance and science fiction. It centers on a boy who leaves his home province to go to Tokyo. In the big city, he meets a girl that can manipulate the weather and has the ability to make the sky blue. It set to be released on July 19. Korean actress Chun Woo-hee has become synonymous to royalty in Korean cinema because of her blockbusters hits such as han Gong-ju, The Wailing and The Beauty Inside. Now, she’s ready to offer the world another great performance in Idol. Idol will follow the story os Koo Myung-Hui, a politician, whose son runs over someone accidentally. His son’s life is threatened by arrest. Chun will play a witness to the accident. The film finished shooting on April last year and was screened in the 69th Berlin Festival last month. Wish Dragon co-directed and written by Amy Heckerling and Chris Appelhans has been making buzz in the international scene lately. 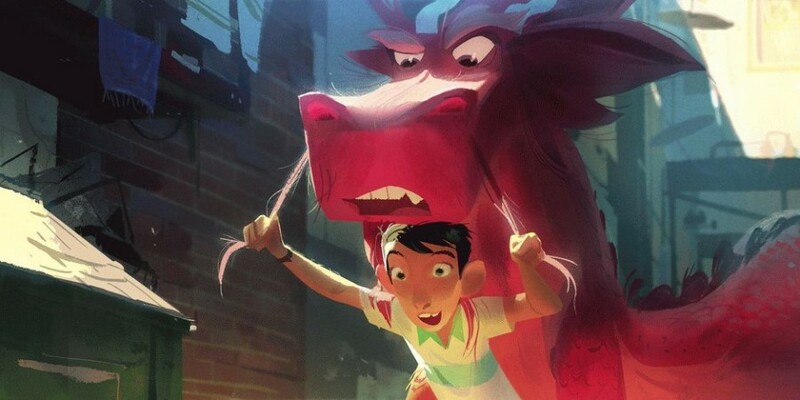 The animated comedy film will start some of the most popular Asian stars including Jackie Chan, who also produced the film, Jimmy Wong, Constance Wu, and John Cho. There will be both Chinese and English releases of the film. Wish Dragon will be China’s very own version of the genie in a bottle story. However, it is set in modern-day China. It will center on a young boy who finds a dragon which has the ability to make wishes come true. The film is set to be released on July 26. Set to be released on March 13, Ulan is a Filipino romantic drama starring two of the country’s biggest stars, Carlo Aquino and Nadine Lustre. According to the director and writer Irene Villamor, the script was originally written in 2005. However, there were many revisions. The film did not give away much information on the trailer but a supernatural vibe is present. Tikbalangs, one of the most popular figures in Philippine folklore was even mentioned. Zam Zam is an Indian Malayalam-language comedy and drama film starring Manjima Mohan. It is a remake of the 2004 Hindi movie Queen and is directed by G. Neelakanta Reddy. In the movie, Manjima Zama, a sheltered and shy girl, takes a honeymoon trip alone after she gets dumped by her boyfriend only a day prior to their wedding. It is a wonderful tale of self-discovery which even takes its audience to the scenic Eiffel Tower in Paris. How romantic! Fans of action films should definitely look out for Foxtrot Six. Although it is not as violent as American war flicks, its appeal lies on its brilliant storyline and powerful acting. The film stars Julie Estelle, Verdi Solaiman, Oka Antara, Rio Dewanto, and many more Indonesian superstars. It tells the story of how a former marine and his peers are challenged to save the country from a merciless leader. Get your tissue ready because the movie is not only packed with action, it will also make you cry. It boasts highly emotional scenes, especially the ones involving Antara and his daughter. Get Ready for a Movie Marathon! Although it’s only been three months into the year, Asian cinema has already delivered countless amazing flicks. Thankfully, you won’t run out of movies to line up for in cinemas this year because it looks like it’s going to be an exciting 2019 for Asian movies! Will the slit-mouthed woman pay you a visit tonight, too?